From the cosmopolitan, urban modernism of Auckland to Maori culture (and their effect on the local rugby) and a general atmosphere of decency and orderliness that pervades the nation, it can feel like New Zealand is a place where you know what you’re getting. Not so. Sure, there are places you know you must visit and sights you simply must see (looking at you Hobbiton), but believe us when we say that the Kiwis do not shy from the unusual. 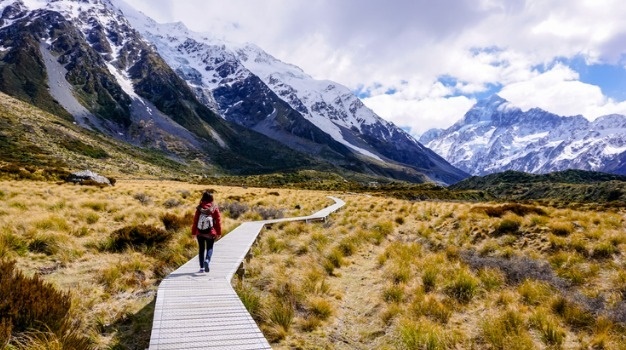 This is a list of some of the most unusual travel highlights, destinations and sights you may not be aware you can experience and enjoy in New Zealand. From the Devil’s Bath to Baldwin Street, open your mind, read on and be amazed. This is one of those things you see on a road trip that either makes you pull over and take pics or you continue driving by and say ‘hmm’. If you’re close to the World Heritage site of Mount Aspiring National Park on the South Island, head on over to the south end of Lake Wanaka and check out the crack willow (salix fragilis) tree that is growing in the water, standing out as a prominent figure due to it being the only tree of its kind in the area. Remember to be respectful and not climb or jump on the tree - it's called a crack willow for a reason. 85 characters for the name of the place make this one of the most challenging places to pronounce on the planet. Much like South Africa's very own Tweebuffelsmeteenskootmorsdoodgeskietfontein (a real place) which seems to be named after an event and is a full sentence, Taumatawhakatangihangakoauauotamateaturipukakapikimaungahoronukupokaiwhenuakitnatahu on the North Island is is named after a legendary Maori explorer named Tamatea. To pay homage to his exploits, an entire sentence detailing his magnificence was used as the name for this hill. New Zealand is a great place to stand in awe of volcanic and geothermal activity. This colourful and unique landscape will have you feeling that surely nature cannot be this unnatural looking but alas here it is. From bubbling mud pools, volcanic craters, steaming earth and naturally coloured springs there is much to see. One of the most unusual features to observe is the eerily named Devil’s Bath with its bright green waters. You read that correctly. In New Zealand, one incredibly patient man designed and built (grew?) a church out of trees. If you like trees and praising the lord then this is almost certainly the best place for you to check out. Starting in 2011, trees were trained across a frame and gradually they have taken shape over the structure to form what will eventually be a self-supporting structure. Baldwin Street holds the world record as the steepest street in the world. The street itself is only 350 meters long, but for every 2.86 horizontal meters, there is a rise of one meter. What makes it particularly attractive is how the houses have been built into the hill, making for endlessly Instagram-friendly scenes. The street is an example of what happens when city planners design an orderly layout without being in the area itself to see the topography up close and in person. Naturally occurring, this giant rock is split neatly in half and looks like a split apple - hence the name 'Split Apple Rock' - though the Maori name for the rock is Tokangawha, which means 'burst open rock'. You can find this unusual site just off the coast between Kaiteriteri and Marahau in Abel Tasman National Park. Women from all over the world come to the Cardona Valley, took off their bras and attached it to a fence in one of the most curious examples of human behaviour in the world. The fence literally has hundreds of bras attached to it stretching for many metres. Of late, the fence has been co-opted into the movement for breast cancer awareness, which is proof that weird can be good.